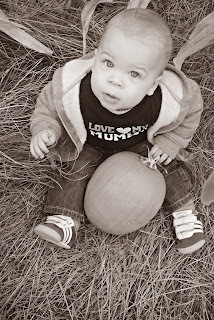 Last year, Ryan and I visited a local farm/pumpkin patch and kept going on and on about how different next (this) year's pumpkin patch adventure would be with our baby boy it tow. We had planned to make the drive to a super-pumpkin-patch-on-steroids with Josh, Haley, and the kiddos, but both Camden (double ear infection) and Kennedy were feeling under the weather, so we decided to stay close to home. 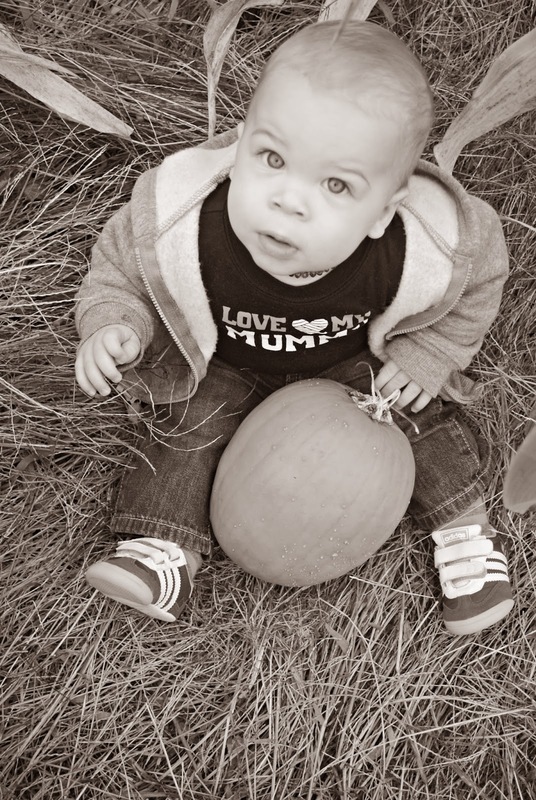 The patch was super crowded and totally picked over, but we spotted a pumpkin that was just Camden's size and perfect for a little photo shoot. And that pumpkin patch sign? I die. This little outing was just as I hoped it would be - but with less pumpkins to pick from. Next year, I'm sure that almost-2-year-old-Camden (excuse me while I hyperventilate at the thought) will be a little harder to wrangle, and hell-bent on jumping in the bouncy house. i cannot take the cuteness. seriously.